On the third Saturday of June every year, residents and visitors come together in a fun social atmosphere to celebrate the beginning of summer! A marketplace takes place with booths offering food and handicrafts for sale. 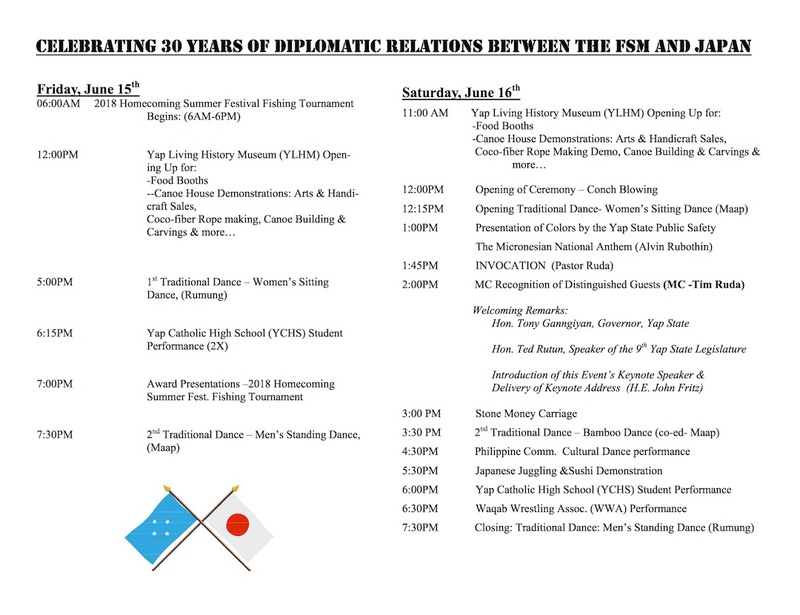 Activities include a Stone Money ceremony, traditional dances, canoe building and carving demonstrations, canoe rides, and more. 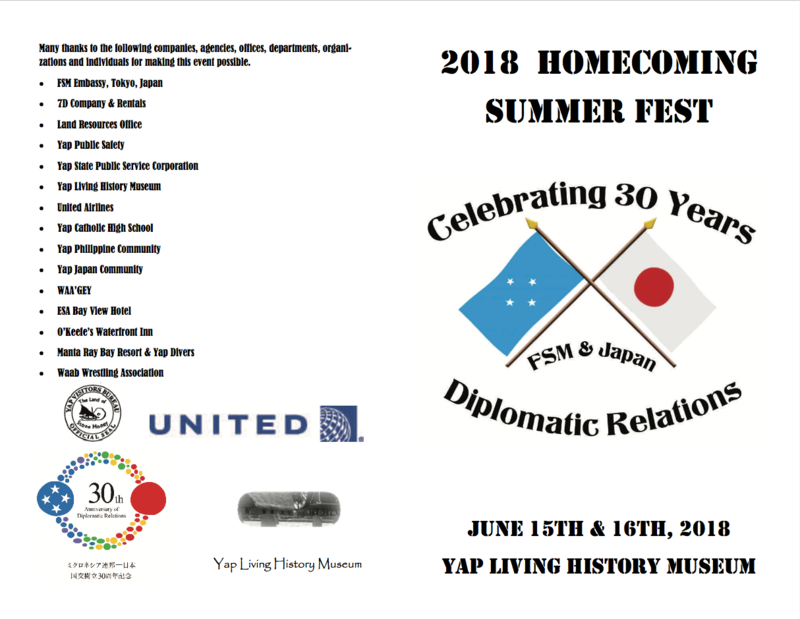 Yap, one of four states of the FSM, is now preparing to celebrate the 30-year anniversary between the two Pacific islands during its annual Yap Summer Festival that will take place at the Living History Museum in Colonia on June 15 – 16.